Classed post plots are a powerful tool for understanding the spatial distribution of particular constituents. Queries are applied to select data. Color-coded symbols are posted at monitoring locations based on grouping the data into discrete classes (bins). The color and radius of the symbol are dependent on the value of the selected constituent at that monitoring location. On the cross-section profile, the well screen or measurement interval is colored according to the corresponding value measured at that point. 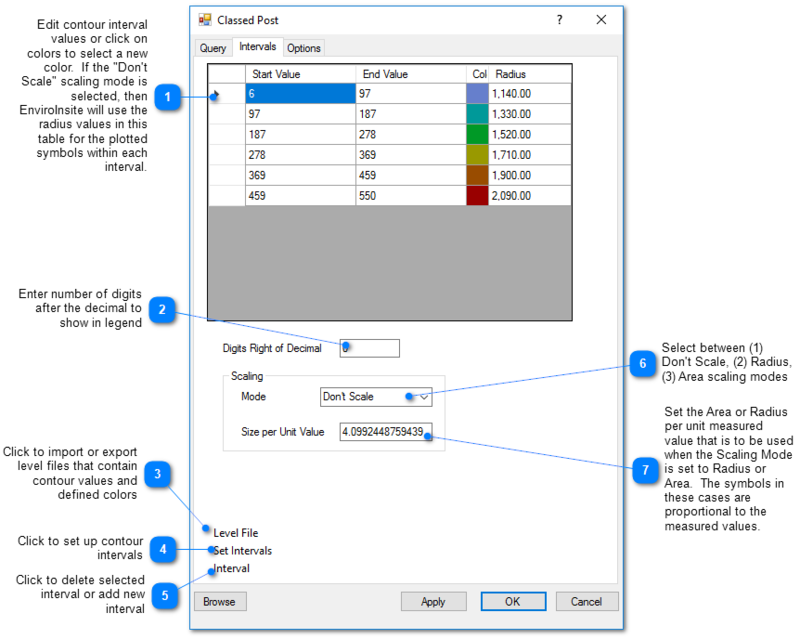 Click Plot> Data from the main menu and select Classed Post. 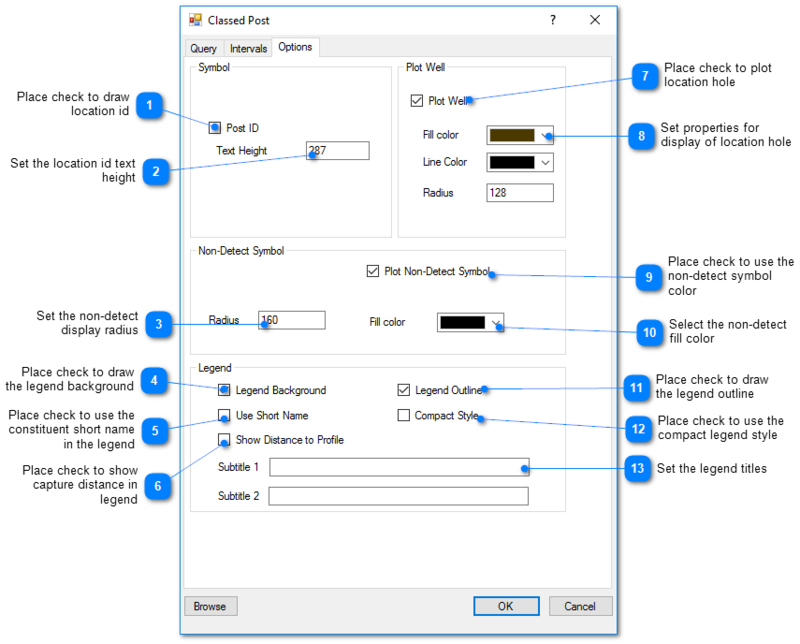 The Classed Post dialog box opens. 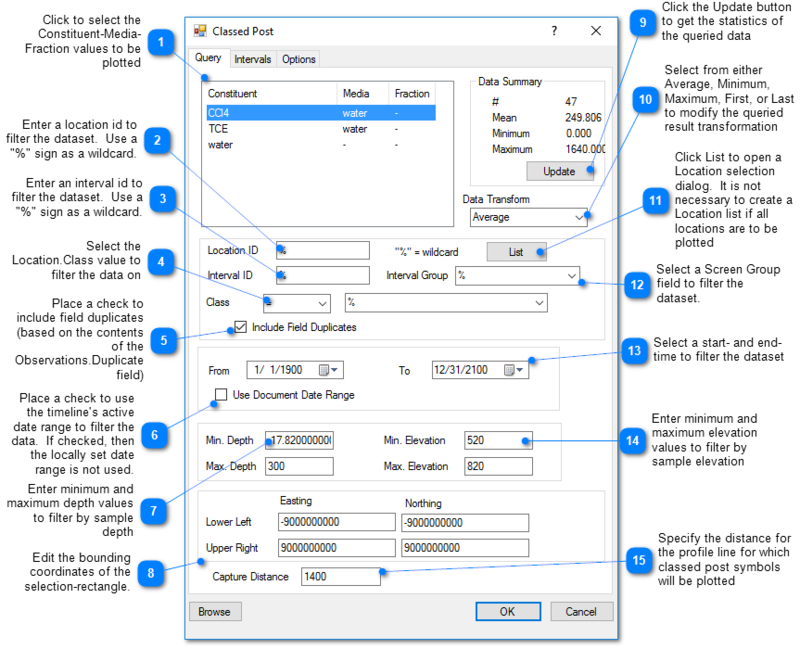 Modify the properties of the classed post plot on the Query tab, Intervals tab, Options tab, and EQuIS Query tab as desired. Click the OK button to save changes.